Bush, then playing for the San Francisco *****, ran out of bounds on a punt return in a game at the Edward Jones Dome on Nov. 1, 2015, and slipped on some concrete. He suffered a torn lateral meniscus, which ended his season. "I'm very happy with the verdict," Bush told the Post-Dispatch after the verdict. "The people spoke and decided very fairly." Attorneys for the Rams said they plan to file a motion for a new trial. Bush filed suit in 2016, alleging that the Rams and the public stadium authorities allowed a "a dangerous condition to exist at the Dome." Bush's suit called the area where he fell "a concrete ring of death." The Rams... Where dreams go to die. Arrrgh! Give that money instead to AD as a bonus. I'm sure none of those jurors had an axe to grind with the Rams. And how can the judge dismiss the people who manage the dome from liability? The uncovered area around the field was a disaster waiting to happen. It should have been covered but only got covered after this incident. Like it or not, someone was to blame for this. Well, there you go. The suit was against the St. Louis Rams. The team is the Los Angeles Rams. Defense rests, your Honor. Ex post facto, habeas corpus, E pluribius Unum. Case dismissed. Can the Rams pay the money directly the USC Booster Club account so they can use it to buy houses for the families of incoming 5 star recruits? Good question. I worked at a large sports facility for many years with tenant teams, and we were responsible for everything when it came to the physical building as far as setup logistics and safety. Unless there was some specific contract provision that made the Rams responsible for setup decisions, I don't understand how the Dome didn't share some of the liability. That said, this is a tiny blip on the radar screen. As the rams have been found negligent, I doubt insurance would cover this. Does that sound like a reasonable assumption? No. Insurance policies typically cover claims of negligence. Liability for intentional acts (i.e. intentional torts) are typically excluded. ... how can the judge dismiss the people who manage the dome from liability? A very fair question. And here is where some people think law and justice collide and why some prefer to refer to the legal system as the criminal and civil injustice systems. You’d think justice demands all people pay an equitable share of liability. But, nooo. In the legalese world of MO there are shields like “sovereign immunity” and “public entity’s exclusive control and possession”. That’s how the judge could dismiss the people who managed the dome. No one ever said that law and justice were the same thing. And again one is hard-pressed to find that this is an outcome where they overlap. If it’s of any consolation, apparently MO law also requires that 50 percent of punitive damages paid by a defendant go to the state Tort Victims' Compensation Fund – a fund where people who have been injured due to negligence or recklessness but can't obtain full compensation because the party at fault doesn't have insurance or goes bankrupt can seek compensation. ... And how can the judge dismiss the people who manage the dome from liability? My understanding is that the court heard and granted their motion to dismiss the case as against them because it found that the Rams had and exercised exclusive control over everything that happened in the dome during a game day (sure sounds like the Rams), including the sideline set up, camera locations, concessions, the works. So apparently, the Convention & Visitor's commission didn't set it up, and couldn't change the setup even if it wanted to. Rams were the entity holding the bag. In my opinion, if McCown didn't slip and get hurt on the exact same spot the week before, the Rams may have been able to escape liability by convincing the jury it was not reasonably foreseeable. But since it happened just the week before, putting them on actual and constructive notice of the hazardous conditions, and did nothing...... the jury could easily find liability. The real question for them at that point was the damages.... because it sounds like a lot of what Bush was trying to get in there were speculative damages. Sounds to me like the Judge is trying to duck a punch of his own. 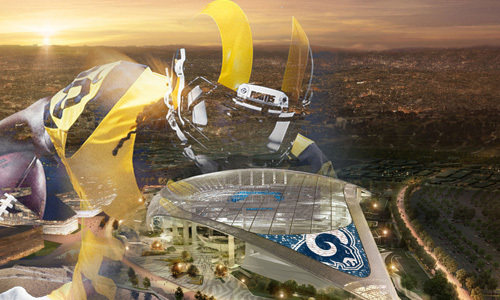 Imagine the heat it would bring on that judge to put the city on the hook for this after the Rams hopped in their canoes and paddled west. Could have fixed it during the week. Who fixed it eventualy?